When you finally launched your new cryptocurrency after days of hard work. Or when buying it for a high price from a dev, you want to show the world that you have a great coin that they should know about. But how to do it without hiring an expensive marketing agency? Most teams run into problems from this point on because they can not see where they should promote their coin, and waste resources on advertising that does not convert. When your traffic does not convert you wont make any money, or find people that would be interested in your coin. This is a big list with ways to get your coin known to public. Best of all, most of these options are completely free or require only a very small amount of money. We at Tokenclaimer understand you have a tight budget and want to focus your money into developing your coin. Not marketing. The easiest way to find lots of potential investors in your cryptocurrency is having an airdrop. Airdrops are events in which users can sign up for your website, follow your social media and get a few coins in exchange. You can set the rates and verify the users, so it is easy to keep everything under control. There are multiple ways to hold airdrops. Most preferred is through your own website, but there are also (free) services available that gladly help you make your airdrop a success. Just as this blog, you can find other blogs that also talk about cryptocurrency. Most writers love to see information about new coins and want to write about your coin. Bigger blogs usually ask for a small form of payment because they spend a lot of time writing and you are competing with other cryptodev teams that are trying to promote their coin. There are a couple big names on Twitter that promote your coin either for free, or a small payment. Try to haggle, most Twitter users drop their prices soon if they are afraid they will miss out on free cryptocurrency. What is the most powerful way to advertise? The answer is pretty simple. Friend recommendations. People are more likely to buy something if a friend recommended them to buy it. Give a bonus to users that refer friends. Give free coins for every active user that you get through a referral and you will quickly see your stats rise sky-high. 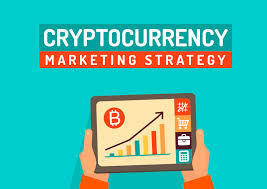 This also has a good possibility of attracting cryptocurrency blogs that are eager to earn money. Make sure you have plenty of promotion material on the website so users can download the banners/videos and upload them on their site. Do a quick search for "altcoin forum" and there will be thousands of forums that are ready to jump on your coin to either mine, stake or host masternodes. People who actively search for altcoins and participate in altcoin forums are usually dedicated members that will help you make your cryptocurrency even better. Social media is free, and you can always try to build a strong community around your coin. A strong community also makes it easier to build trust with potential buyers. Try to submit your coin to as many pools as possible. 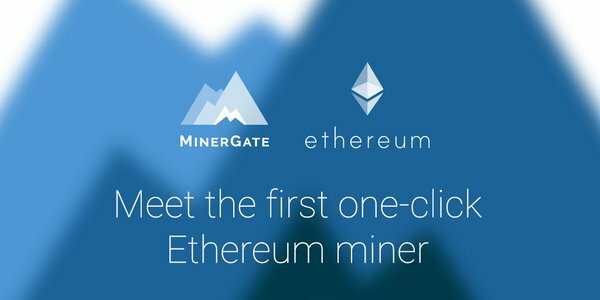 Stake coins should apply to every stake pool on the internet, and POW coins should apply to every mining pool. These pools already have members that will see your coin pop up in their dashboard. Some pools have over tens of thousands of members that will see your coin. This is a very effective way to build interest. Just as airdrops, faucets are also very popular. Host a website on which visitors can claim fractions of your coin o test your wallet, test the exchange and other features. This builds a lot of trust and can help you get members that would usually never even use cryptocurrency. There are also faucet list sites that you can use to promote your faucet website, indirectly promoting your coin. Exchanges with high volumes have a lot of members. If you have a big budget applying to big exchanges and paying a listing fee can get new eyeballs on your coin. Users on exchanges also own more money than the average airdrop claimer or faucet user which means new money will invest in your crypto. These are in our opinion the best ways to get a cryptocurrency under the spotlight. If you know other great ways to promote a coin, feel free to post it in the comments. Also make sure to check our guide on what advertising networks work best for cryptocurrency sites.